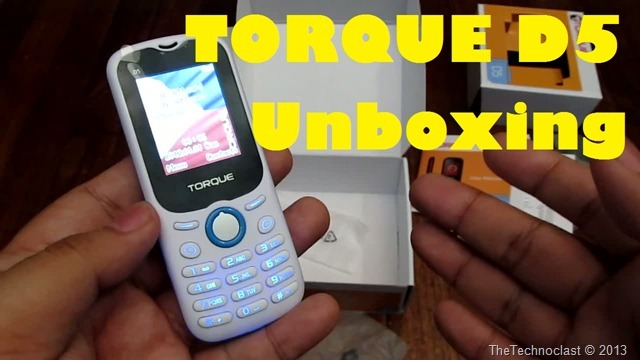 Recently we’ve gotten the privilege to check out a local mobile phone manufacturers’ budget-friendly offering: the Torque D5. It’s a Dual-SIM mobile phone priced at only PHP 777 and has some pretty good Multimedia features that goes with it. As with most phones in this very competitive price range, it’s a non-touchscreen bar phone with a numpad for buttons. What its got above the rest though include a VGA camera, a LED Flashlight, MP3 playback (with MicroSD card slot), FM Radio, and of course the all-important Dual-SIM / Dual-Standby functionality. So if you’re interested in picking up one of these, check out our video unboxing and quick look below! The Torque D5 is priced at around PHP 777 in most stores. Check them out if at your nearest Torque retailers!